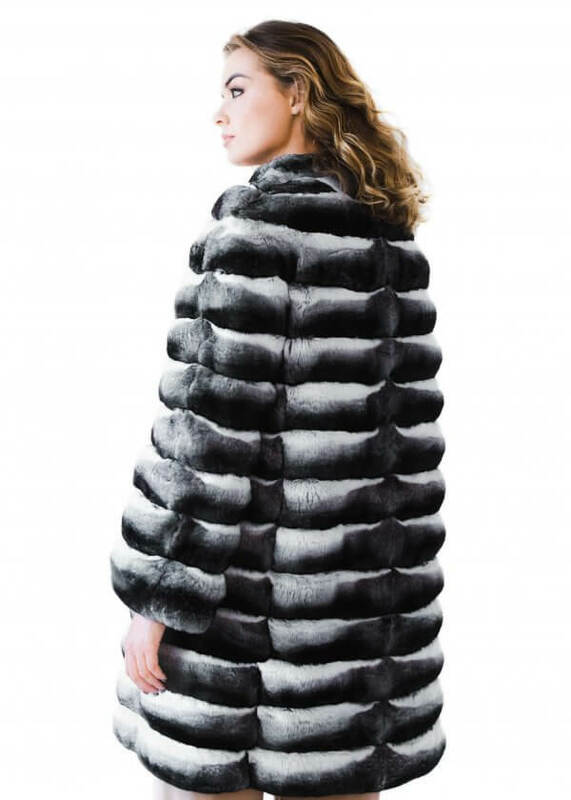 To make this luxurious, genuine chinchilla fur coat we put lots of love, efforts and real handwork. First of all, we selected the finest, premium quality chinchilla fur pelts. Stitch by stitch, row by row it let the flawless fur coat born. Adding 100% natural silk lining of cyclamen color made the best and unbeatable match for chinchilla fur. 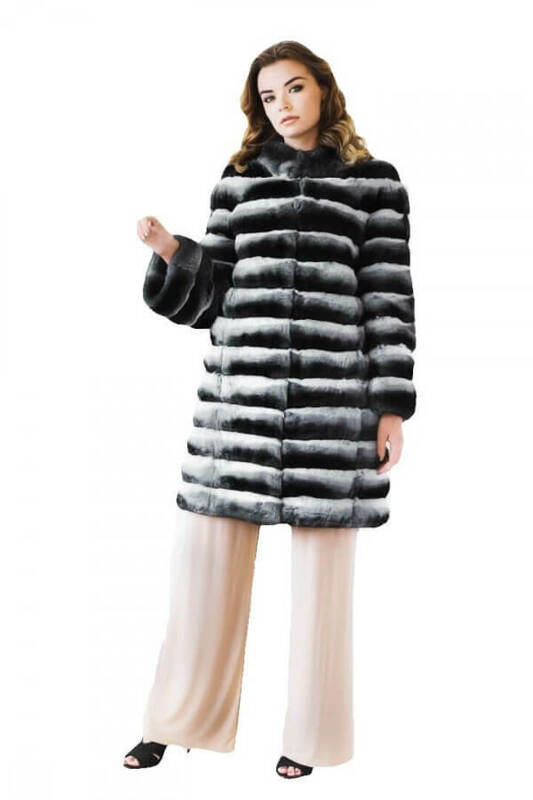 This type of genuine chinchilla fur coat model has a horizontal tailoring, a small standing collar and side pockets for your comfort. Designed and produced proudly in Lithuania. If not sure about the right size, feel free to contact us at [email protected] and get our size advice, let us help you to get the best fit and 100% satisfaction. To learn more about size guide and size conversions, click https://furbysd.com/size-guide/ to find out more. Please bear in mind that a photo may be slightly different from actual item in terms of color due to the lighting during photo shoot or the monitor's display.